Tissington is about as perfect a Peak District village as can be imagined. 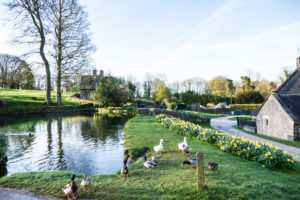 The prettiest of stone cottages are clustered around a gracious stately home, in a village complete with a duck pond, six ancient wells, a beautiful church and a lovely tea shop. There has been a settlement here since Saxon times, and the village’s recorded history begins in the 11th Century. It is mentioned in the Domesday Book of 1086 as ‘Tizinctun’. At the heart of the village stands the magnificent Tissington Hall, a Jacobean house dating from 1609. It has remained in the hands of the same family, the Fitzherberts, since it was first built and is still a family home today. It is open to visitors on selected days between April and August, and group tours (min 15 people) are also available by prior arrangement. Contact the Hall directly on 01355 352200 or email events@tissingtonhall.co.uk for further information about visits. The church of St Mary, originally dating from the early 12th Century, stands proudly on a small hill opposite Tissington Hall. Archaeological evidence suggests that the Hall and Church stand on ground that once belonged to a much earlier Iron Age fortification. The Church, with its huge square tower, is well worth exploring. Its ancient stone doorway bears grooves that were reputedly made by archers sharpening their arrows. It contains an impressive Norman font, as well as memorials to the Fitzherbert family. 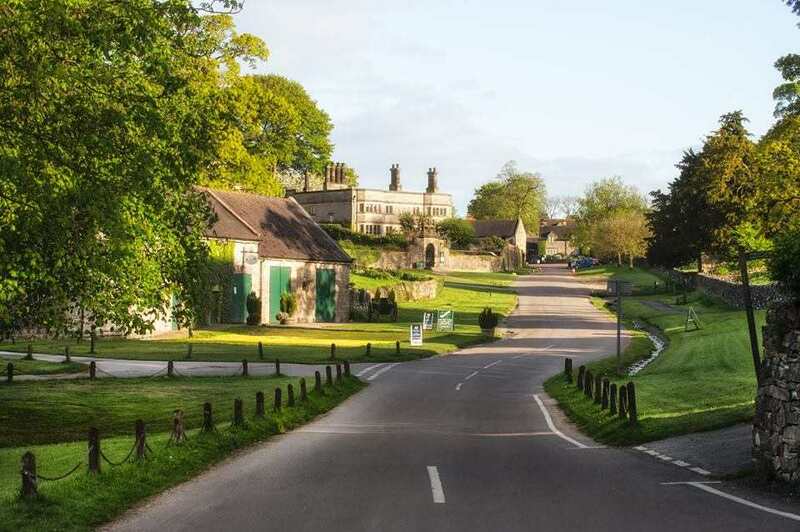 The idyllic village itself is managed by the Tissington Hall estate, and it is a wonderful place to while away a few hours on a sunny day. Most of the picturesque stone houses were built in the mid 19th Century, and include some beautiful examples of traditional local architecture. Look out for the old school house, now a kindergarten, and the blacksmiths, now operating as a candle shop, as well as the ancient stone wells scattered throughout. The village even boasts its own old sweet shop. Very close to Tissington Hall is a lovely tea shop, Herbert’s, which is perfect for refreshments after a day out in the village. This is superb countryside for walkers, cyclists and other outdoor enthusiasts. 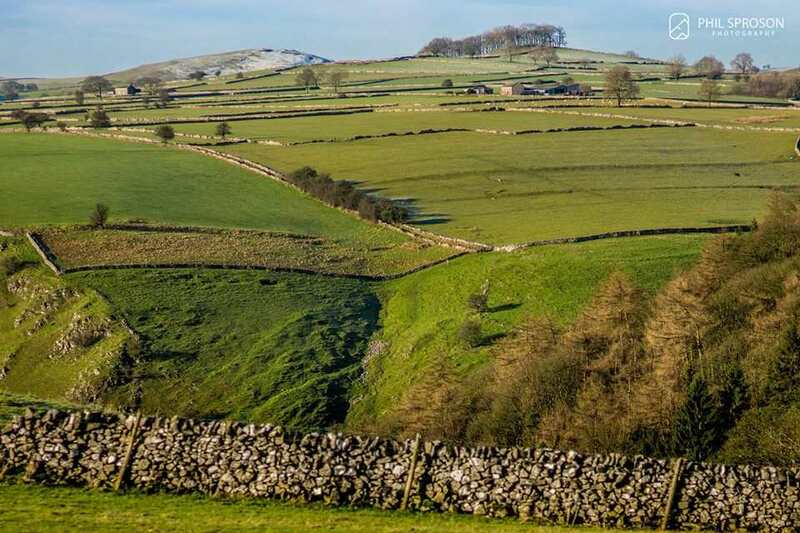 The Tissington Trail, a 13 mile long trail using a disused railway line, runs right next to the village on its way from Parsley Hay to Ashbourne, and passes through the most magnificent White Peak landscapes. For more of a challenge, the 46 mile long Limestone Way footpath also goes through Tissington. 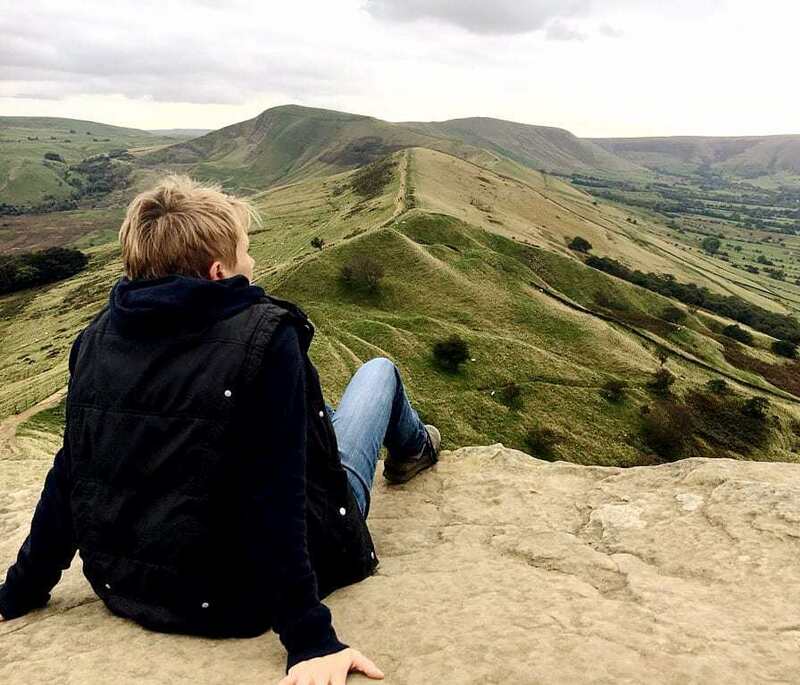 It runs from Rocester in Staffordshire to Castleton in the Hope Valley, and is a great hike for those wanting to explore some of the lesser known areas of the Peak District.